This super-sized book doesn’t include just a few activities on top Bible stories— but ALL 220 puzzles are on well-known Bible stories! From Moses and Jonah to Jesus and Paul—your kids will have tons of fun discovering God’s Word while stretching their minds with Bible puzzles! Easily use these puzzles to jumpstart your lesson. In the last five minutes of class. During a snack break. When parents are running late. Or when you need a fun activity at home! It covers dozens of key Bible stories, such as: David and Goliath; Daniel and Lion’s Den; Jonah; Esther; the life and ministry of Jesus; the Apostle Paul and More! 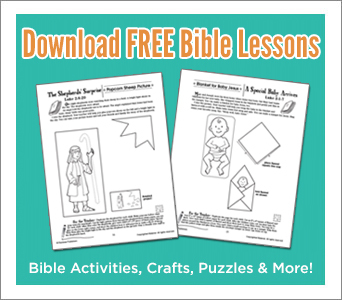 Quickly prep, review, or add depth to your lesson with these Bible puzzles! Perfect for Ages 5-10. Covers Top Bible Stories, including Creation, Noah’s Ark, Abraham, Moses, Esther, Daniel, King David, Jesus, Paul, and more! For 3 Days Only! Save $10! Get this super-sized puzzle book for just $9.99 while supplies last. Enjoy having 5 Bible Puzzles and Activities that Will Build Kids’ Faith! Share these incredible Bible activities with your friends, family, teachers, parents, and kids leaders FOR FREE! Packed with puzzles, crosswords, and mazes, this free download features activities that will keep kids actively engaged as they learn about the miracles of Jesus! Imagine seeing someone walking on water towards you. What would you do? What would your kids do? Would their mouths drop open? Would they scream? From walking on water to healing the blind, Jesus performed incredible miracles! Enjoy having 5 Bible activities that show how awesome and powerful Jesus is! Easily use these printable Bible activities any time—Whether before, during, or after your Bible lesson. Each activity includes a key Bible verse, short explanation of a Bible story, and easy-to-follow activity directions.Appropriate for ages 5-10. This free eChart includes 5 puzzles activities from the bestselling Super-Sized Bible Puzzles Book, which is packed with over 220 puzzles, mazes, wordsearches, and more! Save 50% on this Super-Sized Book of Bible Puzzles. Enjoy having over 220 mind-bending puzzles, twisting mazes, and fun Bible activities at your fingertips. Easily use them before during, or after you Bible lessons. Perfect for Sunday School Teachers, kids ministry leaders, parents, grandparents, homeschoolers, and more! How can you review key points of your lesson (without making it boring?) What do you do if you end up having “extra time” in your class? Want to add a quick activity to your lesson? Your kids will have tons of fun learning about God’s Word with this gigantic book jam-packed with fun Bible puzzles and crazy mazes! The Super-Sized Book of Bible Puzzles lets kids stretch their minds while solving clever puzzles about the Bible. As they focus on solving the puzzle they are actually focusing on the important themes of each lesson, helping them to remember key information. Each activity includes a key memory verse, explanation, clear instructions, and fun activities. Fully-reproducible and perforated, they are perfect for Sunday School, Christian Home School Curriculum, Kids Church, and more! Connect-the-dot pages, and much more! Creation, Cain and Abel, Abraham, Moses, Jonah and the Whale, Noah’s Ark, Daniel and the Lions Den, Joshua and Jericho, David and Goliath, Esther, and more! Jesus’ Birth, Jesus’ Miracles, Jesus’ Parables, Jesus’ Death and Resurrection, the Apostle Paul, and more! Respect, Obedience, Faith, Loyalty, Kindness, and more! How to pray, how to be saved, how to tell others about Jesus, how to avoid temptation, and more! Age-Appropriate—Includes fun, kid-friendly Bible puzzles that get even the toughest kids thinking! It includes a range of both easy and challenging puzzles. Perfect for ages 5-10. Quick Prep and Fully-Reproducible— Easily remove and copy these perforated pages. The book is fully-reproducible, so you can reproduce as many copies as you need. Packed with Bible Puzzles and Activities— It includes more than 220 puzzles and activities that teach meaningful Bible stories in just a matter of moments! Don’t Wait! Save $10 For 3 Days Only! Save 50% on RoseKidz’s Super-Sized Bible Puzzle Book— Just $9.99 (Reg. $19.99). Offer good while supplies last.